The beginning of 2019 was a hard time for us. Thank you to everyone who extended their condolences on our loss of Sorcia, our beloved GSD of nine years. We still miss her every day. I look for her when I go to bed late at night, thinking I need to let her out to pee, and I still expect her to appear when we pull into the driveway and press the garage door button—wriggling out from underneath the door as soon as she can fit. At some point in late January, with both daughters back at college and my husband away on a business trip, I missed my dog enough to fill out a volunteer application for the local animal shelter. Best decision ever. Twice a week now, I walk rescue dogs in the park adjacent to the shelter. I’ve made so many new friends! (Most of whom, I think, like me for more than just my homemade hotdog/liverwurst/cheese treats.) My husband sometimes walks with me, and both daughters were eager to participate when they came home for spring break. We aren’t ready to adopt a new dog yet – or foster one. (Although that is starting to appeal to me.) However, CompAnimals has a program to match up volunteers with a “pen pal” for weekly outings. 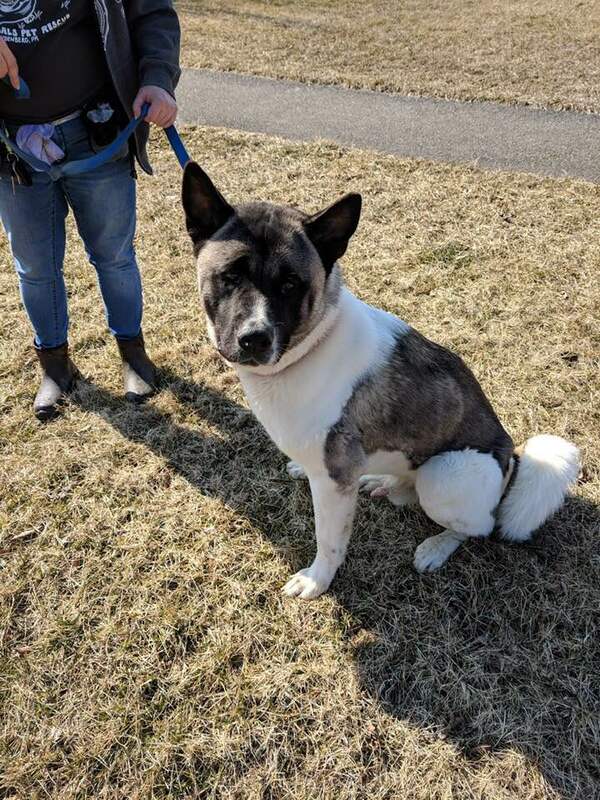 I’ve been assigned new shelter resident Blake, a 1-year-old purebred Akita. Blake has dislocated kneecaps that require surgery as well as degenerative joint disease, and the shelter is currently accepting donations to go toward his medical care. 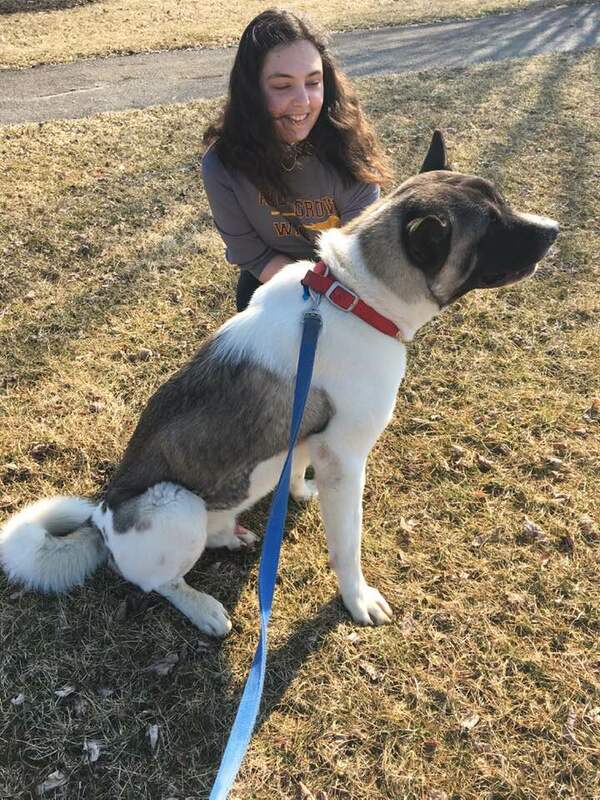 Despite these problems, Blake is a big, lovable softie who can’t take long walks, but is happy to lean up against his favorite humans and enjoy the sunshine. Blake is a beautiful dog. Are those your daughters in the photos? I think volunteering to walk those dogs was the best thing you could’ve done. Fills a void and you’re doing a great thing for the dogs. When you’re ready to bring another dog home, you’ll know. My daughter is very lonesome for the dog she left behind (when she grew up and moved out). I’ll share your suggestion.